NEF (Nikon Electronic Format) is Nikon’s RAW file format that features image information and metadata received from the camera’s sensor. The metadata includes information about the lens, the settings, the camera’s identification and other data. The data from the sensor is recorded without any processing. Like all other RAW image files, NEF is often referred to as a digital negative. This format is mostly appreciated by experienced photographers because it contains more information than JPEG or TIFF. This is what they call lossless image format in terms of color and image definition. Therefore, Nikon camera users prefer to store their pictures in NEF format. Although no one doubts image quality of NEF files, this format is not favored by software developers due to lack of uniform standard. Actually, there are as many versions of the NEF format as there are Nikon photo camera models. Because each model has its own set data haracteristics and settings, they cannot be fitted to a unified pattern. Therefore, if you would like to post your images in the Internet, you are going to have to convert your NEF files to JPEG or GIFF. NEF files are more valuable when manual computer processing is required. This provides ample opportunity for boosting image quality, which is not feasible with JPEG files. NEF files have a much higher image quality, since the original pixel data in them is intact. They either use lossless compression technique or are not compressed at all. NEF files retain 12-bit or 14-bit data, and hence NEF images can boast of a broader tonal range and color precision than JPEG or TIFF images. NEF files are much larger than JPEG, so fewer files can be stored on a card. This is also the reason why it takes longer for a Nikon camera to save RAW files on the card. There are very many RAW formats, and specialists are experiencing difficulties developing a uniform RAW file standard. Nikon is also criticized for using noise reduction, which is highly detrimental to image quality. 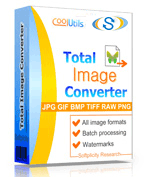 That's why many prefer to convert NEF files to TIFF, JPEG or other formats.